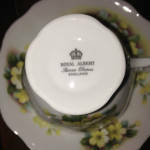 Vintage Royal Albert, Made In England, teacup and saucer. 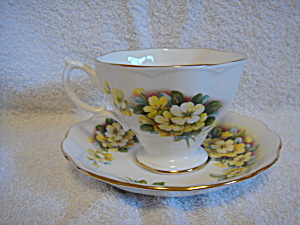 The flowers are yellow and there is gold trim. 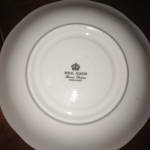 Marked Royal Albert Bone China, England. No chips, cracks or repairs. Reduced price.